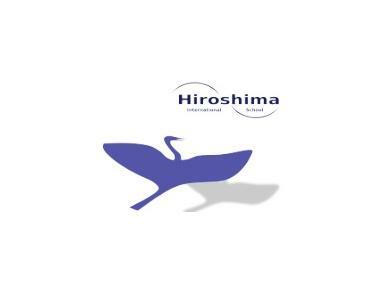 Hiroshima International School was founded in 1962. For over forty years it has provided a first class English-language education to both expatriate and Japanese students in the Hiroshima area. In recent years it has added Secondary Grades and now caters for children from three to eighteen. The school moved to its current purpose-built site in 1986. It is located on the edge of the city in a quiet residential district. The green of the forest is a stone's throw away and the views in all directions are impressive. It is a safe and inspiring environment for children. The school's facilities include a large gymnasium, a library, a music room, an art room, a dance studio, an I.T. laboratory, a science laboratory, numerous subject specific rooms and an enclosed playground. Five new classrooms were added in 2005 and four more in 2007. We are a growing school.